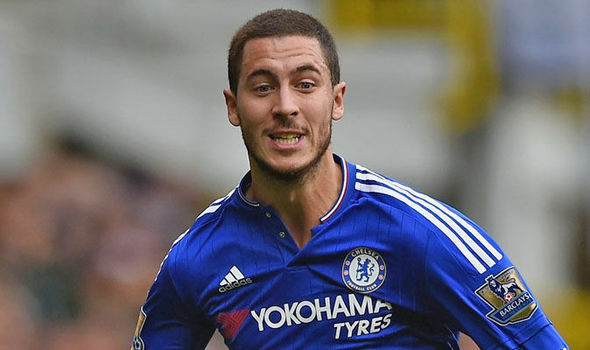 Real Madrid planning £200m offer for Chelsea winger Eden Hazard in this transfer window. Los Blancos lost their key player Cristiano Ronaldo who joined Juventus in this summer and new manager Julien Lopotegui started to search for his replacement. Belgian forward is a long-term target for the Spanish club and Blues rejected several offers from the Los Blancos. Eden had one more excellent season as he won the bronze medal with Belgium in World Cup. He had impressive performances in the Mundial and Real Madrid started negotiations with the player more actively. Hazard joined the Blues from Lille in 2012 with a £32m deal. In this season 27-year-old played 58 games, scored 20 goals and made 9 assists in all competition. He is contracted with the London club until 2020 and his release clause is around £100m. Los Blancos slowly increases the offer to add him but Chelsea will do everything to keep the player as they want to return in Premier League top 4 this season. Blues already won their first game against Huddersfield 3-0 and Belgian winger came from the bench. Real Madrid will try to sign Hazard until the deadline.